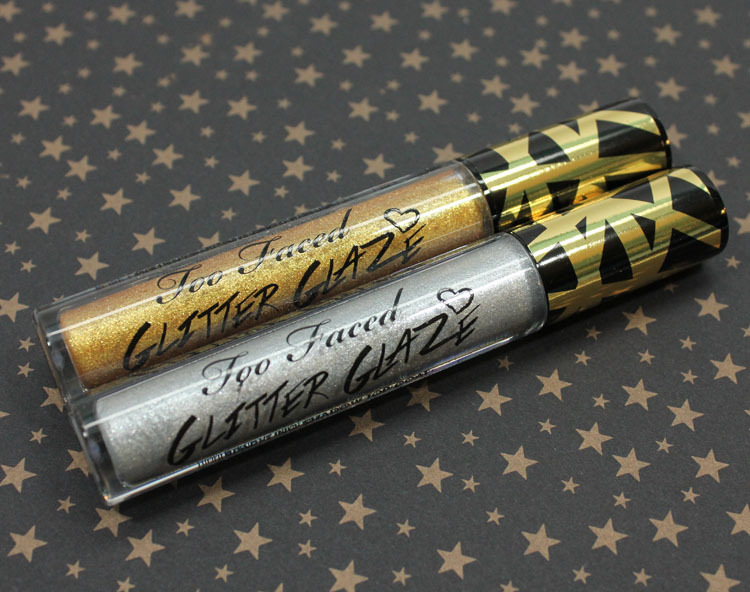 Too Faced Glitter Glaze Sparkling Shadow Top Coat is new for fall 2013 and comes in two sparkly shades: Silver Spark and Goldie Rocks. So what exactly is this stuff? Well you can use it two ways. 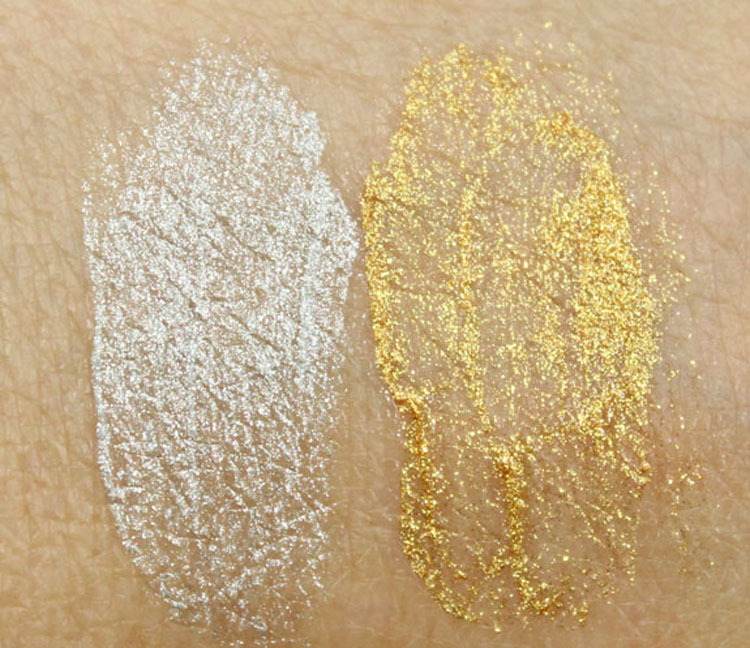 You can use it by itself as an eyeshadow or as a top coat over another eyeshadow. 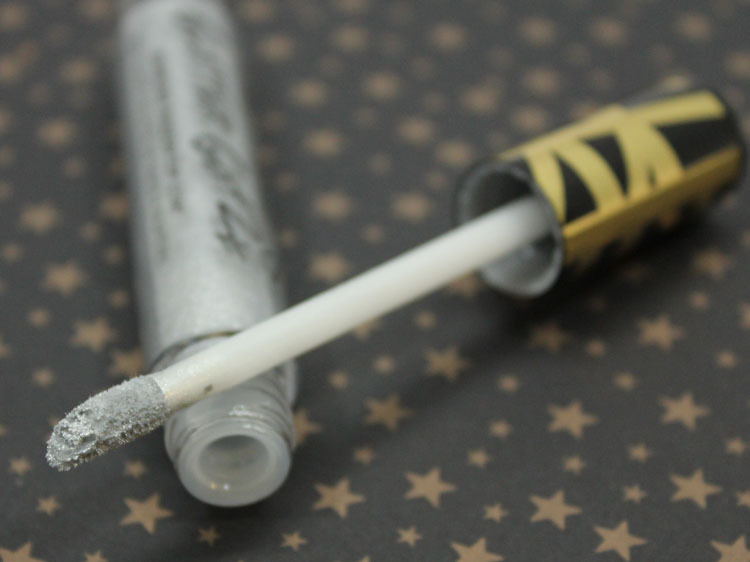 It’s a liquid texture and dries quickly to a glittery finish. It’s not super duper opaque by itself but you can layer it up for more opacity. You won’t get fallout because it’s liquid, not loose. 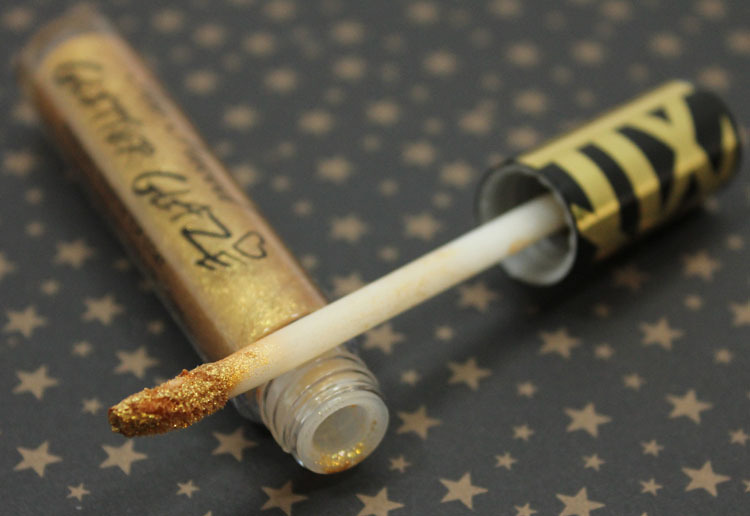 It comes in a fun gold and black decorated tube with a slanted tip foam applicator. Silver Spark is a silvery/white shade. Goldie Rocks is a bright warm gold shade. These are the kinds of products I prefer applying from the sponge onto my finger, then finger onto eyelid. I just feel like I get better control of the amount plus sometimes patting it on gets more even results. In case you are wondering if these are gritty feeling, they really aren’t. They are super fine glittery pieces so it feels pretty smooth once dried. Removing them can leave your face all sparkly though! Overall: These seem more like they should be part of a holiday collection, but that’s neither here nor there really. 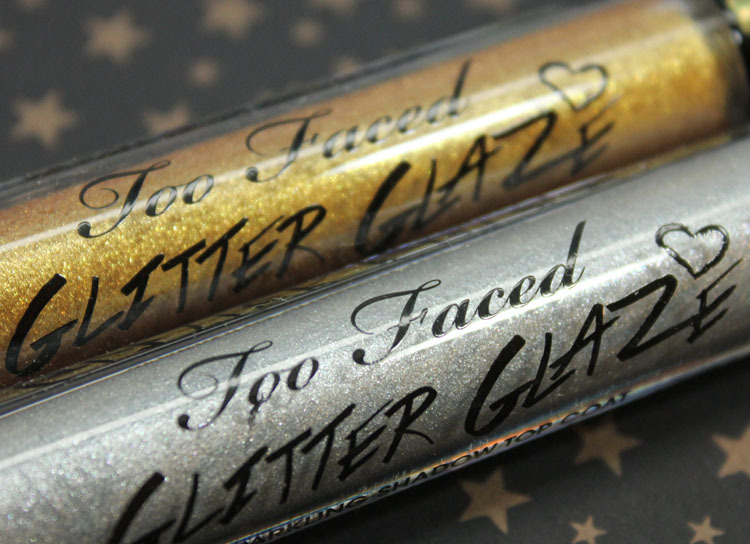 They definitely will give you lots ‘o’ sparkle on your lids if you like that sort of thing! Pricing: $21.00 for 0.10 oz. Do you like super sparkly lids?